My trip to the local CVS this evening ended up being WAY more awesome than normal. I poked around to see if they had a Catching Fire COVERGIRL display and lo and behold I found it! The display at this particular establishment was the "Transportation Look". It seems every display at participating retailers has a different district look featuring those specific products. Pretty nifty! What caught my eye is the promotional program they have going on in select retailers. 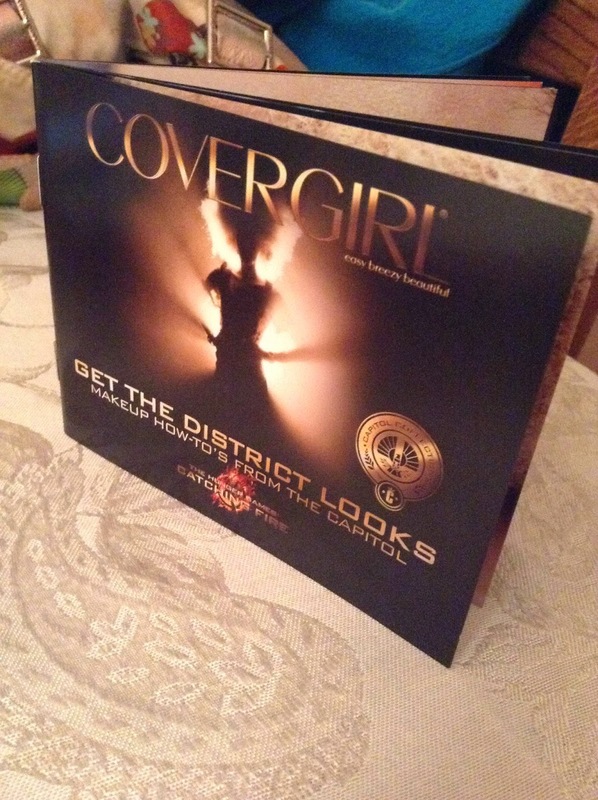 If you purchase more than $20 of COVERGIRL, you can receive MovieCash to go see Catching Fire for FREE! Such a deal! Needless to say, I bought it, took a picture of my receipt, and just a few minutes ago I received an email to claim my MovieCash. It was super easy! Here's how it works. Go to a participating retailer which includes: Walmart, CVS, Walgreens, Rite Aid, Kroger, H-E-B, Giant Eagle, ShopRite, Harris Teeter, or Ulta. 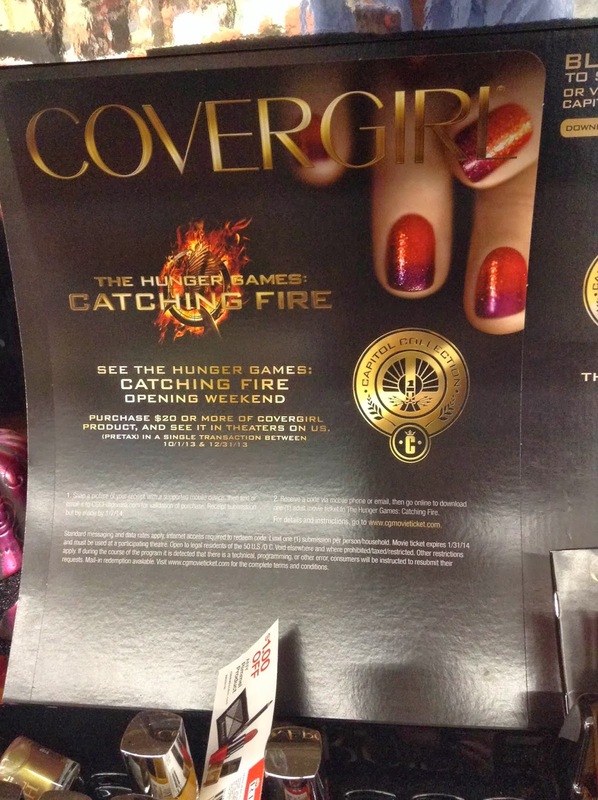 Locate their Catching Fire display and find at least $20 worth of COVERGIRL and SAVE YOUR RECEIPT. Next you need to take a photo of your receipt (write stars/checks next to the COVERGIRL products as well as circling the date and time of purchase) and upload it to WWW.CGMOVIETICKET.COM, which walks you through the process. Within 24 hours you will receive an email hopefully telling you your receipt was accepted along with a code to enter at CGMovieTicket.com. EMovieCash will then send you an email with a link to your gift certificate which you have 7 DAYS TO PRINT. 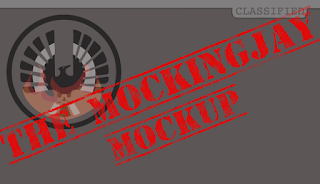 Print out that sucker and present it at a participating theatre! According to the email, it is good for up to $14. Check out their LOCATOR to find out who accepts EMovieCash. If you do manage to find one of these super cool displays, don't forget to grab the District Looks booklet they have sitting on the display. It offers advice on how to achieve each look! The Coolest IMAX Poster EVER!! Catching Fire Global Fan Day! We're Giving Away a Soundtrack Poster Package!! 2nd Catching Fire TV Spot! PHOTO: Buttercup is Ginger Again! New Catching Fire TV Spot Reveals NEW FOOTAGE! 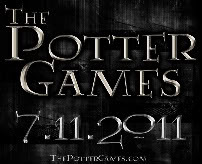 SUBWAY Catching Fire Sweeps Start October 31st! WETA Commissioned for Catching Fire! !